Altis Property Partners, a privately owned property investment group based in Sydney, is reportedly close to selling its second Altis Real Estate Equity Partnership portfolio (AREEP II). The Australian Financial Review reports that AMP Capital and Singaporean group Mapletree Investments are in negotiations to split the $285 million portfolio. Colliers International marketed the portfolio in February with an International Expressions of Interest campaign. 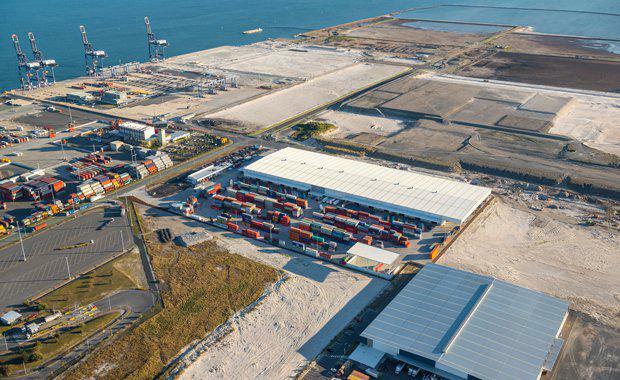 Comprising nine assets, seven of which are across Sydney with the remaining two in Port Melbourne and the Port of Brisbane, the portfolio spans a total building area of 138,707sqm. It is believed that AMP Capital would purchase three or four of the properties with Mapletree taking the remainder. Altis had successfully sold its first AREEP portfolio in 2014 with most of the assets purchased by Mirvac. Main Image: A Port of Brisbane industrial site is included in the heavily NSW-rich portfolio of industrial property offered by Colliers International.